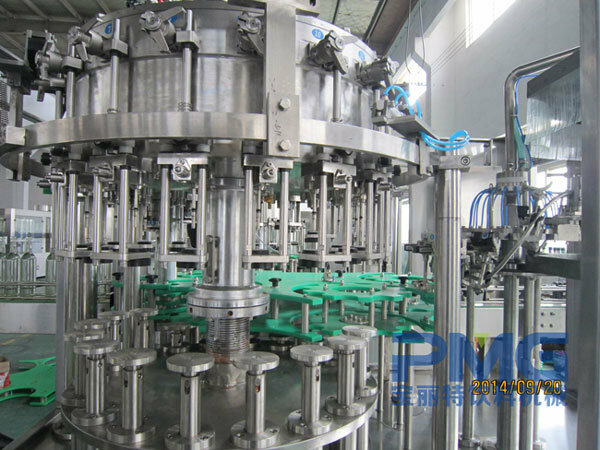 Carbonated soft drink filling machineÂ isÂ usedÂ for PET bottlesÂ ,andÂ carbonated beverage of special equipment, uniqueÂ clampingÂ bottle filling technology, frequency control, automatic tank level control,equalÂ pressureÂ fillingÂ , etc.Â It adoptsÂ constant pressure into the fluid, andÂ matchÂ the mixerÂ perfectly, to avoid boiling, material inequality of production problems, contact with the material part of the materials are made ofÂ stainless steel 304,316Â ,pipe system control components are importedÂ auxiliary equipment. 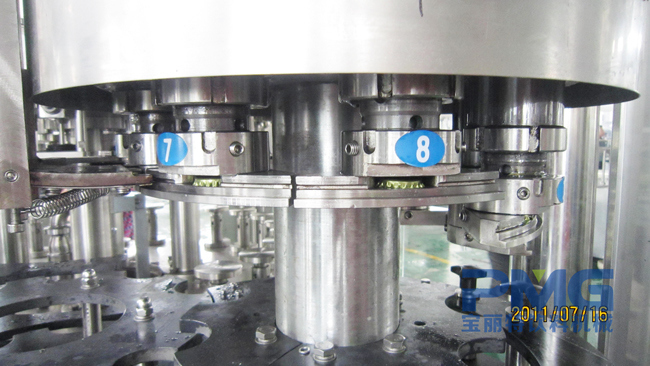 with more output than the machine of the same level from others. 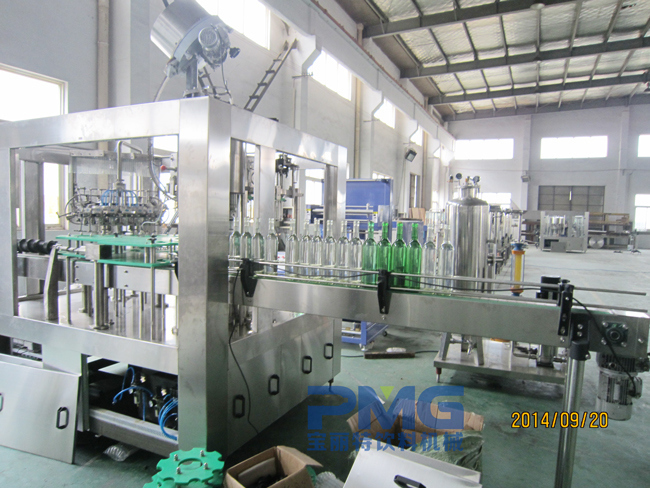 new type air-channel for bottle-loading featuring speediness and damage-free of bottle. which shows the machine is of good adaptability. 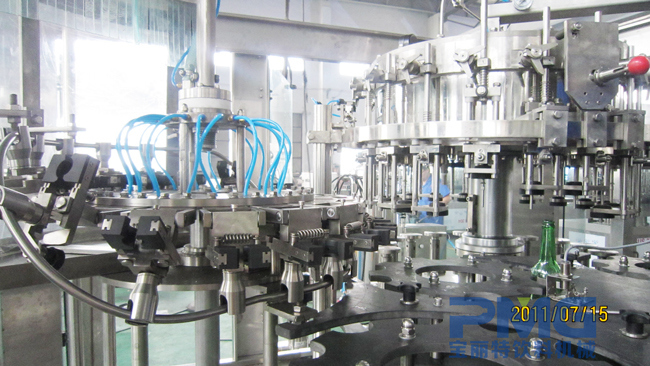 5.High automation and easy operation make it an ideal option for beverage companies. 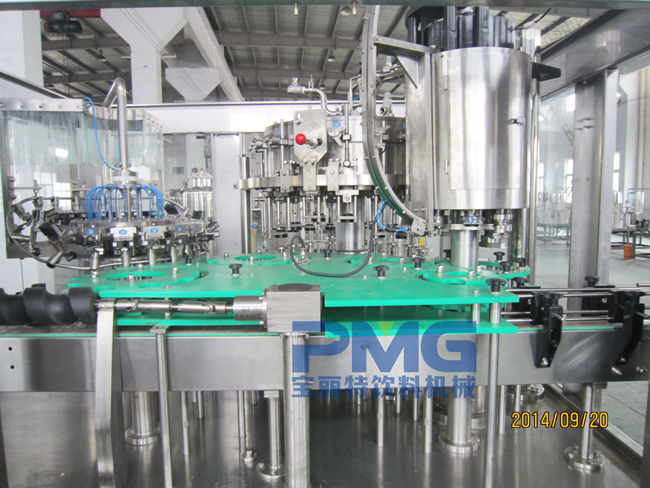 1.PMG company can provideo turn-key project for you, only you have any idea to start beverage factory plant. Â Â Â Â workshop for you . 3. After one year guarantee, the seller provides payable spare parts and technician's VISITING maintenanceÂ service.